Maintaining and protecting that value starts with hiring the right tree service provider for the job, and hiring the right tree service in North Carolina starts with asking the right questions. If you’re a new homeowner in Charlotte, NC or a seasoned property owner living in Raleigh, NC asking certain questions can sifter the qualified tree care craft persons from "mom & pop" tree workers. Not sure what questions need to be asked? Don’t let it stump you, we've done the work for you! Compiled in one concise list (even a checklist) are items to consider before hiring just anyone to come on your property and perform tree work! 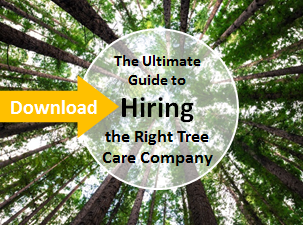 At your finger tips: The Ultimate Guide to Hiring the Right Tree Care Company.